Appearance: Peridot is a slim, black and white tuxedo cat with pale, hazy green eyes. She is the typical kittypet who wears a collar with bells to repel prey from her, so her owners does not have to deal with dead animals in their home. Her pelt is disheveled from the absence of her owners, who are not there to care for her after their untimely death. Personality: A seemingly sweet feline with a bright demeanor, Peridot seems to be a genial cat who seem to space out to look at her surroundings. She hides another side from her, which is a more deranged, twisted feline with near-cannibalistic tendencies, rooted from her hunger from being trapped in her home after her owners have perished at the hospital. This side is shown to be sadistic, conniving, and has a morbid humor, finding threats humorous. History: In the beginning, Peridot used to be a rogue, born to a rogue couple in the wilderness. As a kit, she was taught the usual skills to hunt and fend for herself, until her parents came to the rescue. Unfortunately, she was caught by twolegs to be pounded for adoption and was adopted by a homely old couple who adored cats. She was raised into a kittypet life, cherished and pampered with love and food. In a soft life of a kittypet, Peridot was named endearingly for her green eyes after the gemstone, and she enjoyed cuddling up with her owners every passing day. As few years passed, the old couple has grown sicker with age and eventually passed away at the hospital. Leaving behind Peridot at their home, the cat was left to scavenge every nook and cranny in hopes for food. Peridot have grown hungry to the point of starvation, warping her mind as she thought her owners have abandoned her. Eventually, she have finally managed to escape the withering house, yet she still have problems catching prey due to her noisy bell. Other: Her bell rings eeriely, almost like an alarm before her appearance. 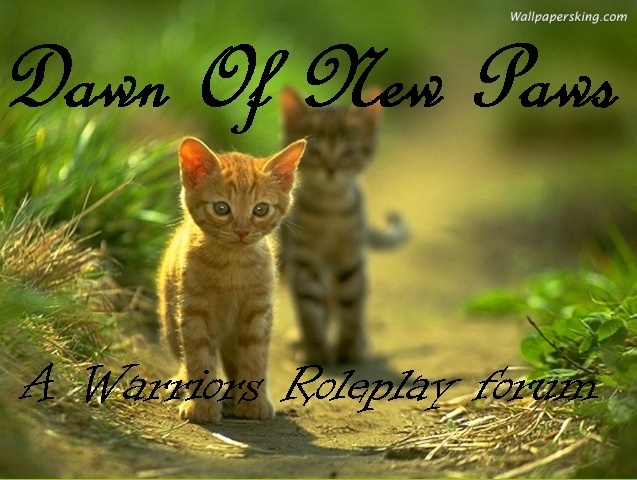 Roleplay Sample: A ringing noise of a bell sounded hauntingly in the mist of the forest, the morning dew of the forest floor felt cool against the feline's paw pads. The disheveled fur of the she-cat appeared to be matted from sleeping on it, while two orbs of green peered through it hazily. A grumble escaped from the cat's throat, sitting down and pawed at the bell on her collar. 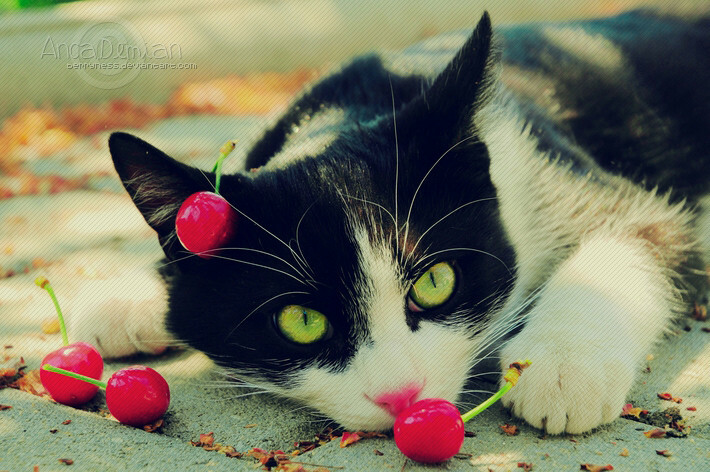 "Confounded thing, you chase away all the food. I will be lucky if I even get to find something already dead." She growled bitterly, her eyes scanned the area once more desperately. The fresh scent of the rain felt refreshing, yet her unbearable pain in her stomach was hard to deal with and made her helplessly crawl pitifully. Sighing to herself, Peridot rolled over on her back as her tail whipped lazily. She cannot bare the hunger and began to shake away the morbid thoughts she despised ever since she had them after her owners' absence. The soft trickling noises from the lightly soaked leaves felt soothing like a lullaby, lulling the hungry feline to give into her exhaustion. This character is now available for adoption. Peridot has been deemed inactive.